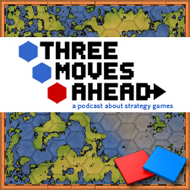 This week, Troy, Tom and Bruce devote the entire show to Demigod, the upcoming RTS from Gas Powered Games and Stardock. Bruce reaches into the past for a boardgame comparison, Tom is annoyed by everyone and Troy likes most of what he sees. Have a question for the panel or an idea for a future show? Email me at troy DOT goodfellow AT gmail DOT com. You guys have accrued an impressive collection of running gags in only 6 episodes. Hey, I haven’t played Demigod but I have seen a video or two. It all sounds and looks extremely similar to Defense of the Ancients, a multiplayer mod for Warcraft III: The Frozen Throne. If you’re interested in this sort of gameplay, you might want to check that out. Yep, it’s a lot like DotA. Tom talks about that towards the last third of the podcast. Many similarities. Okay, I just actually finished the podcast, so I feel a little embarrassed for my hasty response, but keep in mind that DotA has quite a large player base, with supposedly between 5 and 8 million downloads. DotA has no real advertisement, so its popularity is based on mostly word-of-mouth. I think you may be surprised by how popular this game style may be. Also, if you do check out DotA, I think Demigod may prove to be more heavily influenced by that than Titan. I am familiar with DotA, and I think that it is obviously a major influence on Demigod. As Tom notes in the podcast, though, DotA fans have DotA. Will they make the transition to a new game that replicates much of the experience? I think DotA being in the Warcraft universe also helps its popularity; Demigod has to build a player base from the ground up. If Demigod gets even half a million sales, it will be a huge success. Excellent podcast, even though I don’t have the free time to listen to the whole. Anyone who can bring Tom and Bruce to the same table deserves a gold star for that alone. Geekgold for the Titan reference.